I’m happy to let you know that just in time for LGBT History Month the Library currently has trial access to the LGBT Magazine Archive from ProQuest. 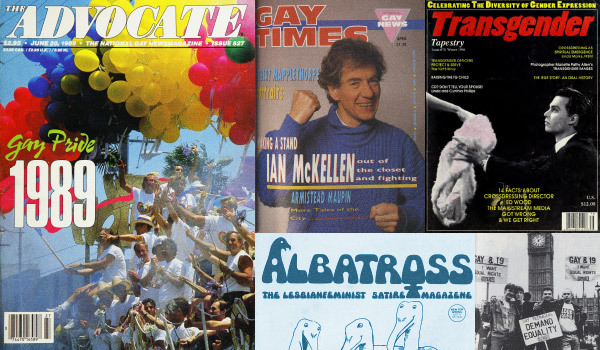 This new primary source database is a searchable archive of major periodicals devoted to LGBT+ interests, dating from the 1950s through to recent years. You can access this digital resource via the E-resources trials page. Access on-campus is direct, for off-campus access you must use VPN. February has seen the celebration of LGBT+ History Month in the UK and you may have enjoyed one of the many fantastic events put on by the University’s Staff Pride Network or the University’s Students’ Association. LGBT+ History Month may be near the end but I wanted to highlight just some of the library resources available to staff and students of the University that will allow you to study and research LGBT+ history further. 1. Books, journals, articles, etc. The Main Library is co-hosting a ‘micro-exhibition’ with student groups Project Myopia and LiberatEd with a pop-up book display on the ground floor this week. 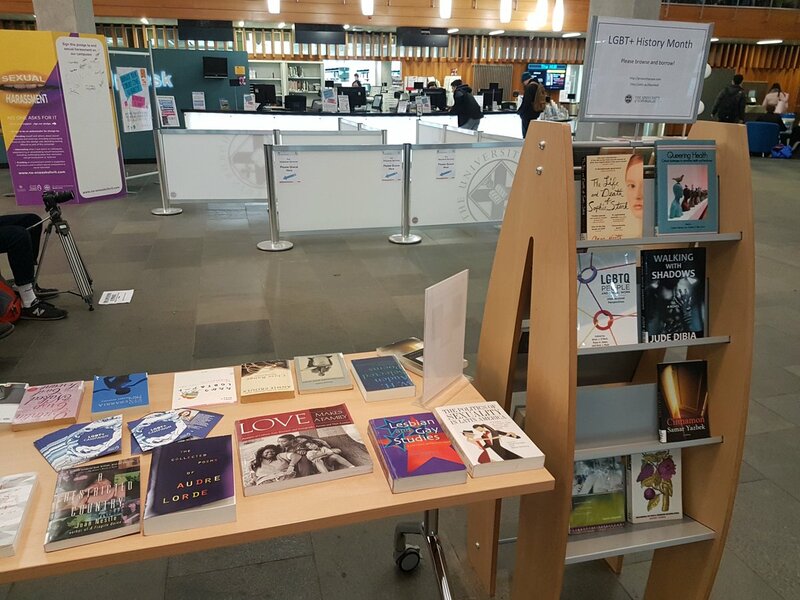 A LGBT+ History Month Resource List has also been put together to highlight the wide range of LGBT+ books available at the University Library. This is just a selection of titles available at the Library and you can use DiscoverEd to find more. You can also use DiscoverEd to search for and find a large range of journal articles and journals on LGBT+ related research. Or you can go further in your research by using some of the bibliographic databases the Library has access to that will allow you to search for journal articles, abstracts, book reviews, book chapters, reports and proceedings, etc.